Home/Europe/France/2 or 3 Weeks in Reunion Island : Itinerary 14-15-16 days or more! Road trip of 2 or 3 weeks in Reunion: what to do and see? You want to spend 2 or 3 weeks in Reunion for your next holidays? Voted the most beautiful island in the world, this gem of the Indian Ocean deserves 11its title and promises you an unforgettable stay. Between paradisiacal beaches and luxuriant nature, there is a multitude of things to see in 14, 15 days or more (20, 21 for the lucky ones!) In Reunion. Two or three weeks is perfect to tour the island by car. To help you plan your holidays and sort out the many activities to do on the island, I propose a route to visit Reunion in 2-3 weeks, which combines hiking, beaches and small road- trips. 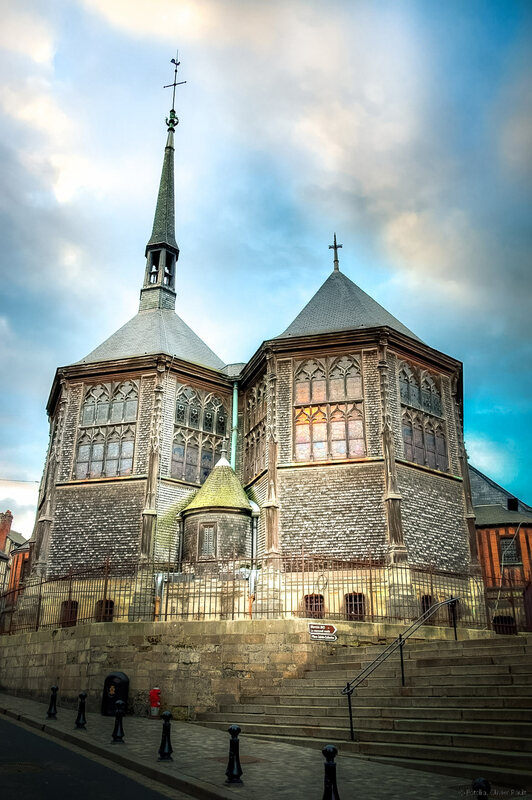 On the program: you will discover the magnificent circuses of Mafate and Salazie ; climb the volcano of Piton de la Fournaise; enjoy the sun on the beaches of Saint-Gilles-les-Bains; and soak up the unique atmosphere of the capital Saint-Denis. Discover immediately our guide to know what to do during a road trip from 15 to 21 days in Reunion! And as a bonus: for each stage, our selection of the best accommodations. After a night spent on the plane, you will land in Saint-Denis, the capital of the island. Pick up your rental car at the airport counter. The island is small but poorly served by buses. The ideal is to rent a car at your arrival to be free of your movements and be able to move without constraints during the duration of your stay. To rent your car, I recommend you to go through Rentalcars.com. This is the site I always use for a car rental, I explain why at the end of the article, in the section reserved for car rental on the island of Reunion. For this first leg of your 2-week itinerary in Reunion Island, I suggest you stay on the spot and spend the first day and night in this beautiful city, which deserves a few hours. 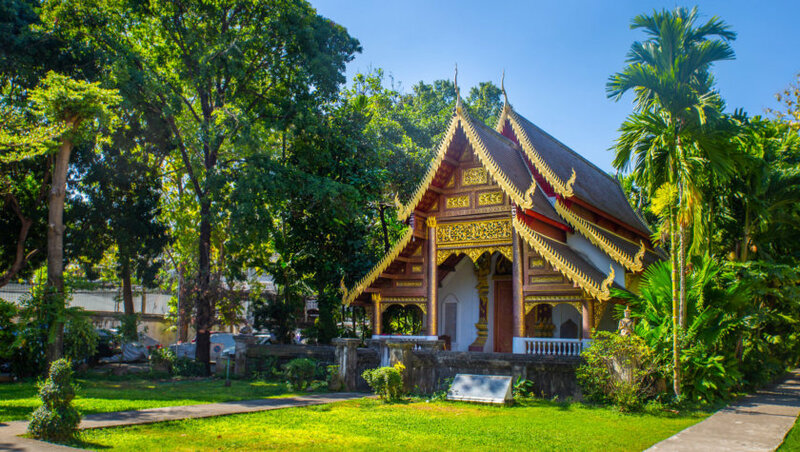 Admire the Creole huts while strolling the streets of the city center. 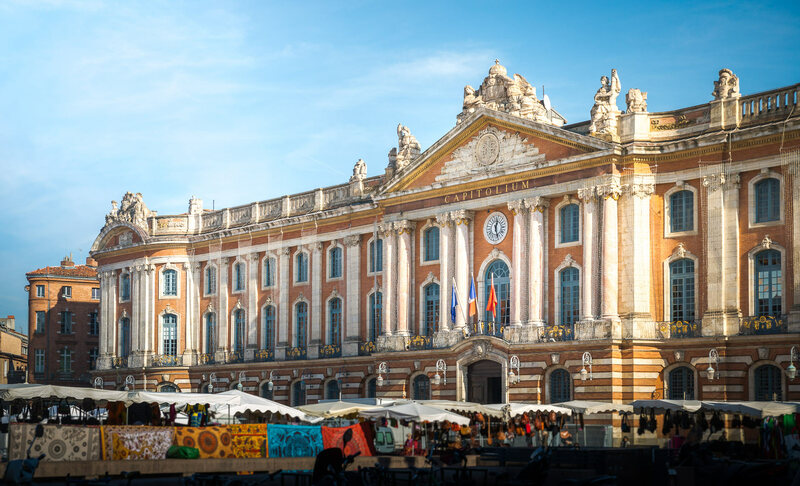 You can start with the rue de Paris, where you will first find the beautiful Carrère House (which houses the tourist office of the city), then Villa Déramond-Barre. The guided tour for the creole hut circuit is recommended. Hike Maniquet Cascade, an easy hike one hour (return) from Saint-Denis and which passes in the beautiful Forest Brulé. Dine by the sea and have a good night’s sleep in Saint-Denis. In this part of the world, the sun sets early (18h in summer, 19h in winter). So plan to start your day early in the morning to have the time to enjoy. La Varangue: Located in Sainte-Clotilde, 4 km from Saint-Denis. House with 1 bedroom, a kitchen and a terrace from 55 € per night. Most: the warm welcome, comfort, free private parking. Villa Hélèna B & B: Located in Sainte-Marie, just 5 km from the airport. Double room with terrace or balcony overlooking the sea from 70 € per night, breakfast included. The most: the pool, the garden, the rich breakfast, the geographical situation to arrive or leave at the airport. Tulip inn Sainte Clotilde: Located in Sainte-Clotilde, 10 minutes drive from Saint-Denis. Comfortable and spacious double room from 120 € per night, breakfast at 12 €. The most: the pool, the very good bedding, the rich breakfast. Villa Angelique: Located in the famous rue de Paris of Saint-Denis. This charming hotel offers double rooms with refined decoration from 170 € per night, breakfast 12 €. Most: the beautiful building of the hotel, services and quality services, friendly staff. This is our recommendation for a romantic stay on the island of Reunion. For the second stage of this road trip of 14-15-16 days in Reunion, take the direction of the circus of Salazie. It is a must of a circuit in Reunion. Salazie is the largest of the 3 Reunion cirques, and also the most humid with very dense vegetation and many waterfalls. It is accessible by car by the only road that leaves Saint André. Count about 1h20 from Saint-Denis to reach the village of Salazie. Circuses are mountain enclosures that make the island of Reunion famous. These incredible natural formations are a paradise for hikers and offer truly sumptuous landscapes. The ideal, when you have time, is to spend 3 days in Salazie and walk the circus along the numerous hiking trails. Before leaving, I recommend you prepare a course according to your level and your preferences. The Relais des Cimes: Also located in the heart of the village of Hell Bourg, in Salazie. Double room overlooking the mountains and the village from 90 €, breakfast included. The most: the warm welcome, the delicious Creole meals, the quality of the breakfast, the ideal location for hiking. 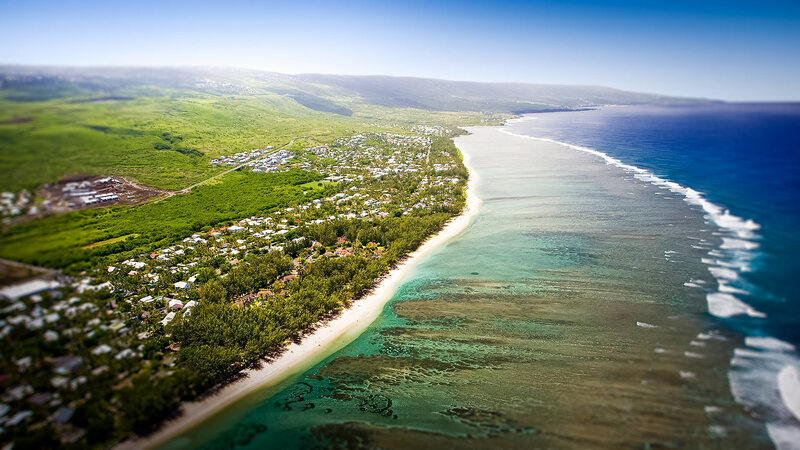 For this new stage of your 2 week trip to the island of Reunion, I propose 2 days of relaxation in Saint-Gilles-les-Bains, seaside resort trend of Reunion. Since the circus of Salazie, it takes about 1h30 by car to reach Saint-Gilles. You will find very beautiful beaches, many shops and restaurants, the bustling streets and a small marina very nice. Holiday atmosphere guaranteed! For the second day in Saint-Gilles, start with a relaxing morning. You can walk quietly or enjoy the beaches of the Hermitage and Boucan-Canot. Then have lunch on the terrace and do some shopping in the shops by the sea. Spend a second night in Saint-Gilles. Résidence l’Archipel: Located in Saint-Gilles, 10 minutes walk from the beach. Studio and modern apartment, well equipped with kitchenette and balcony with outdoor furniture from 120 € per night, breakfast 13 €. Most: the large pool, the good breakfast, the welcoming staff. Ideal for a family road trip on the island of Reunion. Mafate is one of the 3 circuses present in Reunion, and one of the most spectacular. For a stay of two weeks in Reunion, it is essential to go spend a few days! Unlike Salazie and Cilaos, Mafate is not accessible by car. Wild and isolated, it can be reached on foot or by air only. This inaccessible and primitive side gives Mafate an additional charm. It is also the driest circus and the least sporty of the three, the temperature can show very high in summer so it is necessary to plan well to protect from the sun and hydrate. The circuit of the Rivière des Galets: about 25 minutes drive from Saint-Gilles and 5 hours walk to Mafate. As the walk is quite difficult, there is also the possibility to do a 4 * 4 end of the trip to Deux-Bras. This option saves at least 2 hours of walking. 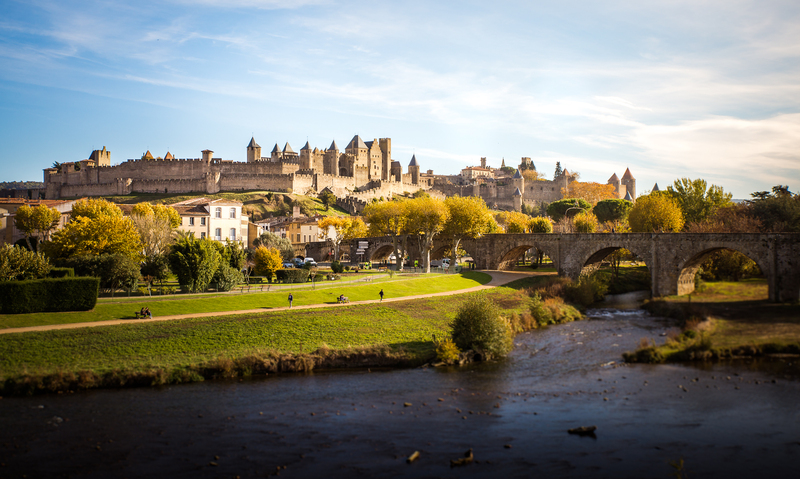 To leave your car, opt for a guard service possible in the town of Rivière des Galets. By the Canal des Orangers: 1 hour drive and then 3 hours walk. Possibility to park your car in a guarded car park in Sans-Soucis-les-Hauts, Caz des Orangers, at a rate of 12 € per night. The Maïdo circuit: about 50 minutes by car and then 4 hours of walking. You can park your car in the city of Saint-Paul and take shuttle buses set up specifically for hikers from the bus station. Do not park your car in the Pic de Maido car park, parking is not supervised. The arrival to Mafate should therefore take you the first day, or at least half a day for early birds. For accommodation, you will have the opportunity to camp in some places or to sleep in the various lodgings of the circus, but remember to book in advance. You will find a list of the lodgings of the circus of Mafate on this site. As I said above, Mafate is much wilder than Salazie and Cilaos. Here, no village but several small hamletscalled îlets, consisting of 1 to 20 houses maximum. The inhabitants are only supplied by helicopter and it’s like being in another era. It’s bucolic and charming! So spend the next 2 days to walk the many hiking trails that connect the different islands between them. On the fourth day, take the road again to Saint-Gilles and rest before your day of the next day. The fifth leg that I propose for this 2-week itinerary in Reunion takes you this time in a road-trip day on the south coast of the island. From Saint-Gilles, go towards the city of Saint-Pierre and make a stop at Étang Salé, more precisely at the site of the Gouffre (parking indicated and easy to find from the main road of Étang Salé). Impressive rock formation in which rush and crash the waves, the Gouffre d’Étang Salé offers a very nice show, especially when the sea is unleashed. A nice walk is then to make along the volcanic cliffs. After this escapade to the Gouffre, take the road to Saint-Pierre and take 1 hour or 2 to visit the city,discover its colonial architecture, its market (open only on Saturday morning) or its beautiful botanical garden Café Grillé . After Saint-Pierre, always following the coastal road, you will then arrive at the beach of Grande Anse, one of the most beautiful of the island with coconut trees, white sand and turquoise waters. It is the ideal place to rest and have a picnic but swimming is unfortunately forbidden because there are many sharks. Only a few minutes drive from Grande Anse, you can also make a detour to the pretty town of Manapany where it is possible to swim in protected natural pools. After having lunch, continue the road towards Saint Joseph until the road that goes up and goes along the Langevin river (a sign indicates the cascade of Grand Galet). Follow this road to reach the Grand Galetwaterfall (also called Langevin waterfall). This is one of the most impressive waterfalls in Reunion Island. You can take a break and even bathe there. The road trip is not over since I now propose to go down to the main road and continue to Saint Philippe. Do not miss a stop at Cape Méchant and its wild nature, with its steep black cliffs and impressive waves. It is besides the very strong swell of Cap Méchant which earned for it this original name. After passing Saint Philippe, here is what end this day in beauty: the Laves Route. The change of atmosphere and landscape is sudden. We find ourselves suddenly surrounded by huge expanses of dry lava. Everything is gray and black, with the Piton de la Fournaise in the background on the left and the sea on the horizon on the right. In this rather special and mystical atmosphere, you can stop, walk on the lava and enjoy this unique landscape. Then I suggest you go back in the opposite direction and spend the night in Saint-Pierre. If your stay lasts more than 2 weeks (you have planned 3 weeks to see 1 month in Reunion? Lucky!) ,Do not hesitate to continue the road after the Route des Laves and to push until Sainte-Rose to pass there the night. You will be close to the Anse des Cascades that you can visit the next day. L’Anse des Cascades is a beautiful site between waterfalls and ocean, with a wild beach, a botanical garden and a nice little port. We can go around quietly in one afternoon following the trails. A circuit allows in particular to reach the village of Piton Sainte Rose in 2 hours of walk. Villa Belle: Located in the center of Saint-Pierre. Comfortable double room, with a dining area equipped with a microwave and fridge from 180 € per night, breakfast surcharge 20 €. The most: varied and delicious breakfast, tranquility, lovely staff, pool and jacuzzi. This is our recommendation for a romantic road trip to the island of Reunion. For this sixth leg of your 15-day trip to Reunion, I propose a quiet excursion in the Bébour-Bélouve forest , a beautiful tropical primary forest located in the Plaine des Palmistes. It is one of the most beautiful and largest on the island and is the ideal place to relax after a few rather intensive days. It is approximately 1 hour’s drive from St. Pierre. 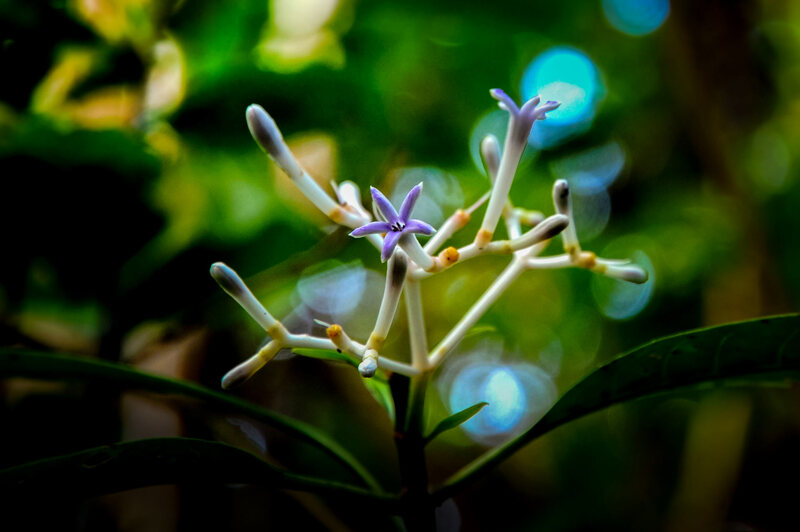 In a soothing atmosphere, you will discover the local flora at your own pace along the various walking trails. Count 3-4 hours to enjoy the place. the waterfalls of Trou de Fer, accessible on foot from the lodging of Bélouve. Last thing: rains are common in this wet region, do not leave without your raincoat and mosquito lotion! Join your home for the night. Compared to the program the next day, I recommend sleeping around the Piton de la Fournaise. To get to the waterfalls, park your car in the parking lot of Bélouve’s cottage and then follow the path of Allée Cavalière. At some point you will see a trail that says “Iron Hole”. I advise you to avoid this direction and continue on the Alley Cavaliere, because the path of the “Iron Hole” is very muddy. You will make a small detour but will arrive at Belvédère which overlooks the waterfalls without risking too much dirtying you. Finish in beauty your stay of two weeks in Reunion by Piton de la Fournaise, imperatively to include in the list of things to do in 15 days on the island of Reunion. I propose you a 2 days excursion to discover this mythical volcano of the island. 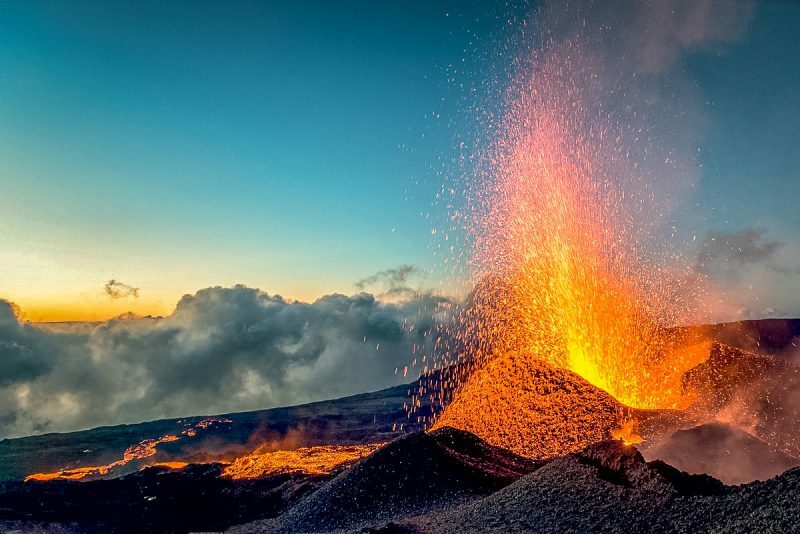 The Piton de la Fournaise is also the only volcano still active in Reunion . If you are on site at the time of an eruption, it will of course be impossible to approach the craters (the enclosure is closed during eruptions). By cons, you can make a beautiful night hike to see spittle and lava flows. It’s a show not to be missed if you’re lucky enough to be there at the right time! When the volcano is at rest, several hikes are to go up to the top. Of organized excursions are possible, with about 200 euros per person (still). But the guide really takes you off the beaten track, it can be worth to discover things that everyone does not see, and learn a lot about the volcano and volcanology in general. Day 2: hike in the Fouqué enclosure (the enclosure surrounding the volcano), discovery of craters and recent lava flows, ascent to craters Dolomieu and Bory at the top of the volcano. If you prefer to be autonomous, I suggest you go to the Pas de Bellecombe by car (through the Tampon). The road that leads to it, which passes by the splendid Plaine des Sables, is magnificent. Once arrived at the Pas de Bellecombe, a kind of giant balcony overlooking the volcano, leave for 5 hours of walking back and forth to the top of the Piton. From the car park, walk along the cliff for about 5 minutes then walk down the stairs to the wall for about 15 minutes. You will arrive at the foot of the enclosure Fouqué then you will be able to go towards the crater Bory or Dolomieu, the craters located at the top. The path to follow is indicated by white spots painted on the volcanic rock. For two days on the spot in “autonomous” mode, you can also take the road on the first day then drive quietly to Pas de Bellecombe. No doubt you will stop often to enjoy the magnificent views and changes of scenery offered by the road! Book a night at the cottage Bellecombe and then hike the next morning very early, just before sunrise, to enjoy the last moonlight and see the sun rise on the volcano. It can be very cold, especially during the austral winter, at the top of the volcano (the temperature can go down to 0 ° C), so plan coats and warm clothes! The next day, the end of these 2 weeks of holidays in Reunion is approaching. Take the road back to the airport. Allow about 2 hours to reach Saint-Denis. You can delete the day at Bébour Forest. 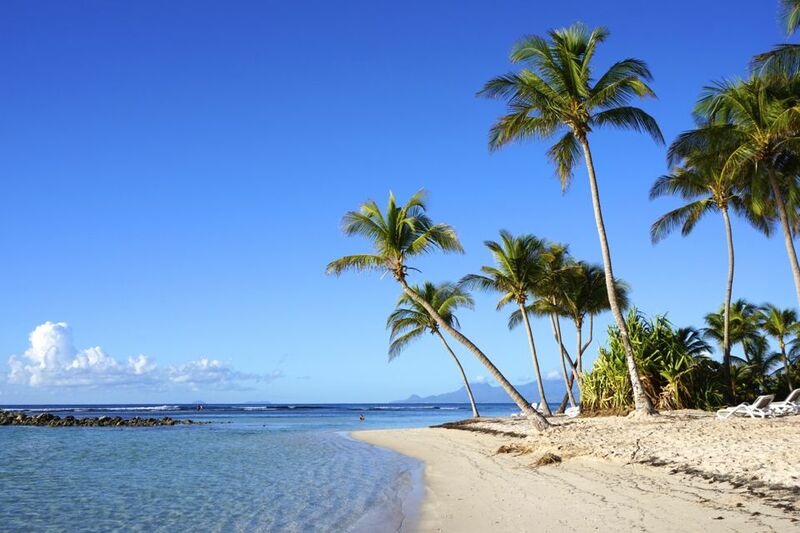 After the Piton de la Fournaise stage, you can return to Saint-Gilles for a day to enjoy the beach and a last day of relaxation. Your 2 weeks in Reunion are already finished. I hope that the intense island, as it is called, will have seduced you and made you want to come back. And why not combine this trip with a stay in Mauritius, the “sister island” of Reunion located just 1 hour flight? If you like, I also prepared for you itineraries and tips to organize your stay in Mauritius! If you have the chance to extend your stay and be able to make a 3-week itinerary to Reunion, I advise you to take the opportunity to explore Cilaos, the third circus of Reunion, for 2-3 days. Like Mafate and Salazie, Cilaos can be visited on foot along numerous hiking trails. But it has the advantage of being accessible by car via the “road to 400 turns” from the city of Saint-Louis (count about 1h30 climb). The ascent of the Piton des Neiges, the highest peak of the Indian Ocean, is also an excursion to plan if you have time (and you like the treks quite difficult!). Accessible from Cilaos, Salazie or Plaine des Cafres, the summit of Piton des Neiges offers a spectacular 360 ° view of almost the entire island. For that, plan 2 days and a night at the lodging of the Piton. To end the trip in style, why not take a helicopter tour to visit the island from above? It is an extraordinary experience because the landscapes seen from the sky are even more spectacular, especially the ravines, the 3 cirques and the waterfalls. Count 200 to 400 euros per person for the trip. It’s not cheap but it’s worth it. For your 2 weeks trip to Reunion Island, I recommend you rent a car to see the maximum of things. Benefit from the insurance “complete protection” (optional of course) less expensive than passing directly by the hirers. Accident or theft, you will be covered! Personally, I use this site all the time! If you know your travel dates to Reunion, I recommend you book now to get the car you want at the best price. 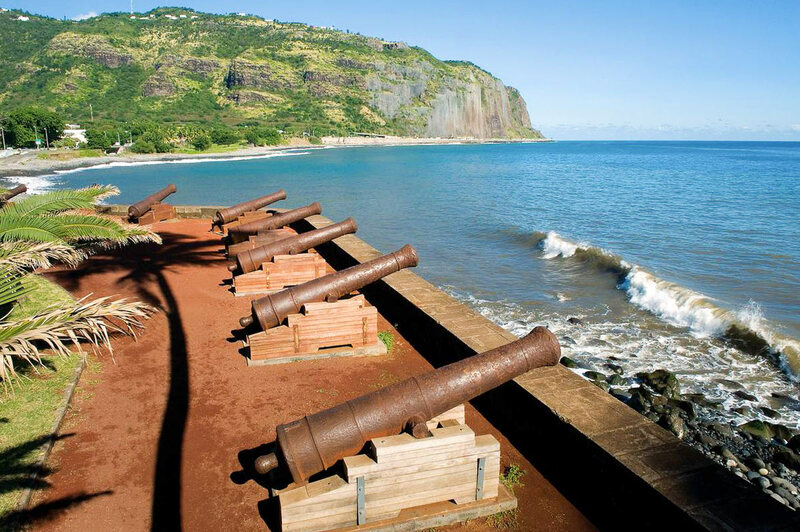 Discover all our articles on Reunion Island: all our articles on Mauritius are listed here.